Your little one deserves comfort when going to bed and these Little Sleepies will do just the job! 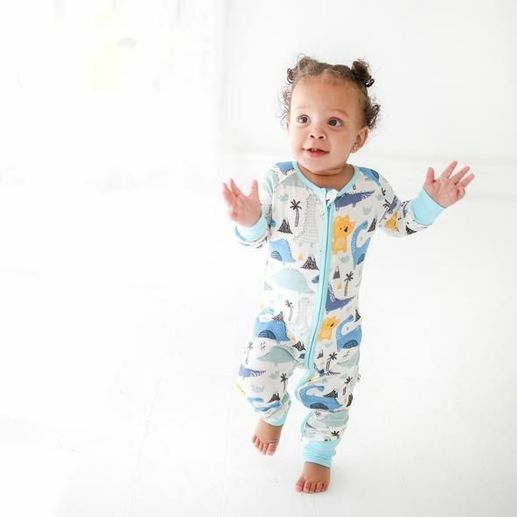 Made of buttery soft bamboo, these pj's have no interior tags to irritate little one's skin. Each romper zips for easy changing and dressing, has a protective fold-over flap at the neck, and features fold-over hand and foot cuffs...easily turning these into footies and protecting your child's face from scratches. These run true to size. Made of 95% viscose from bamboo; 5% spandex. Machine wash cold.